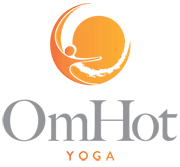 OmHot Private Instruction is a 90 minute class in the tradition of Bikram Yoga. The instructor uses the OmHot 60 minute recorded class as the foundation. It's consistent and succinct information, enables the student to access a solid foundation in each of the poses of the series. OmHot Private Instruction will allow the student to focus on specifics of the series, ask questions and explore. The 60 minute recording with 30 minutes of individualized work allows for 90 minutes of private instruction while receiving the full benefit of a class. OmHot Private Instruction is great for New Students. It is designed to allow them to approach the OmHot Yoga Series in a more open, nurturing and inquisitive manner. The teacher is there to guide them to learn the very basics of the series and to become comfortable enough with the basics, so the recorded classes become a regular part of their practice. Regular practitioners are encouraged to participate in Private Instruction to stay in touch with the integrity of the practice. To have an opportunity to ask questions and "stop" the practice to focus on the ever changing minutia of the practice. "As your body change, your practice changes. As your practice changes, your body changes."